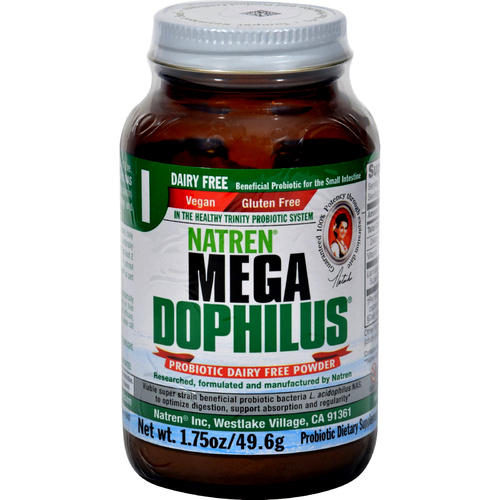 Natren Dairy Free Megadophilus contains up to 22% organic ingredients. Warnings: Do not freeze or expose to moisture, heat or direct sunlight. Do not accept if seal is broken. Keep refrigerated and dry to maintain potency guarantee. Keep out of reach of children. Do not take more than recommended dosage. Notes: Preservatives Free. Artificial Colors Free. Artificial Flavors Free. 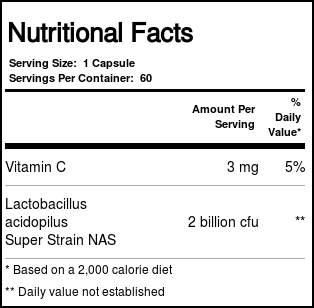 Recommended Use: Take one capsule daily with unchilled, filtered (chlorine-free) water before meals to optimize digestion. Take Megadophilus at least 2 hours apart from herbs, garlic and prescription drugs.